The chief sponsor of the Cyber Intelligence Sharing and Protection Act (CISPA) in the U.S. Congress has ignited a Twitter storm by suggesting many opponents of the proposed cyberthreat sharing bill are 14-year-olds in basements. The Twitter account for Representative Mike Rogers, a Michigan Republican, has received thousands of tweets from opponents of the bill since late Tuesday after he said that “if you’re a 14-year-old tweeter in the basement” you don’t understand why Congress needs to pass CISPA. The full U.S. House of Representatives is scheduled to begin debate on the controversial bill Wednesday. Privacy and digital rights groups have objected to the bill, saying it would allow ISPs, email service providers and other businesses to share a wide range of customer information they believe is related to cyberthreats with the U.S. National Security Agency and other government agencies. CISPA would protect businesses sharing cyberthreat information from being sued by customers. Several websites, including tech policy blog Techdirt picked up on Rogers’ comments, made during debate Tuesday in the House Rules Committee over what amendments should be allowed on the House floor. The comments are included in a short YouTube clip posted by digital rights activist Sina Khanifar. “This whole [Rogers] thing is pretty funny considering most 14 year olds know more about the internet than he does,” added Eric Fadden. “I’m 70-year old retired computer/networking professional, in my home office, & have been against CISPA since first proposed,” wrote Rich Zellich. A spokeswoman for Rogers didn’t immediately respond to a request for comments on the Twitter responses. Some opponents of CISPA accused Rogers of saying that the only opponents of the bill were 14-year-olds. That’s not quite what he said, but many critics read his comments as implying that most opposition came from teenagers. Rogers said he had to work hard to convince his teenage nephew about the merits of the bill. “Once you understand the threat, and you understand the mechanics of how it works, and you understand that people are not monitoring your content of your emails, most people go, ‘Got it,’” he said. 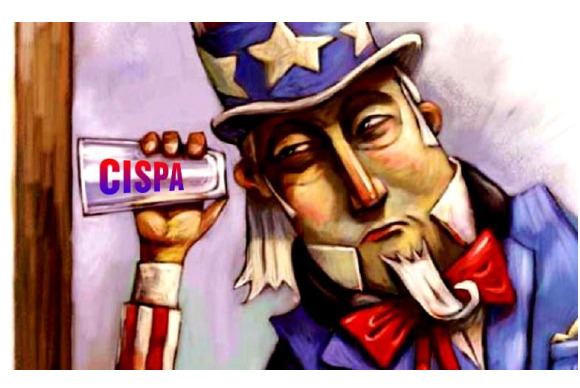 Some tech trade groups, including the BSA and the Software and Information Industry Association, are strong supporters of CISPA. But several digital rights groups, including the Electronic Frontier Foundation and the Center for Democracy and Technology, are opposed, as are some Silicon Valley-area lawmakers. President Barack Obama’s administration has also threatened a veto. Representative Jared Polis, a Colorado Democrat, questioned whether support in the tech industry was as strong as Rogers suggested. Many tech executives he’s talked to are “fairly ambivalent” about CISPA, Polis said during the House Rules Committee hearing. “Many of them feel it’s fairly irrelevant because they feel they’re better equipped to deal with threats to cybersecurity than our government,” he said.